This is your opportunity to become an integral part of buying, renovating and restoring, the 122-year-old Shotley Railway Pier. Built by the Marquis of Bristol in 1894 to convey the Royal Mail by ferry between Shotley Gate and Harwich the pier was a testament to the Victorian values of construction made to last. Over the years the 600-foot pier, opposite the Bristol Arms, has been used to carry mail, coal, munitions and many a sailor serving or training on the world-renowned HMS Ganges. Sadly, it fell into disrepair around the turn of the 21st century and is in dire need of some love and attention. Shotley Heritage Charitable Community Benefit Society Ltd purchased the pier, following a successful fund raising campaign. 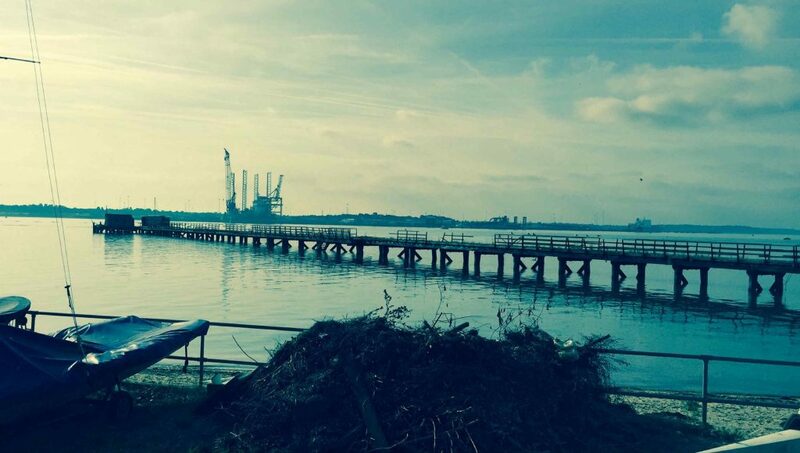 The next step is to carry out repairs to the superstructure, and then make the pier itself into a working pier where people can stroll, fish, and enjoy the amazing views down the Stour and across to Harwich and Felixstowe docks. There are many ways you can help us. Help by making donations, buying community shares, and attend our enjoyable fund raising events. The ticket price is the fund raiser without any high pressure to make further donations at events, as the intention is to organise enjoyable events.